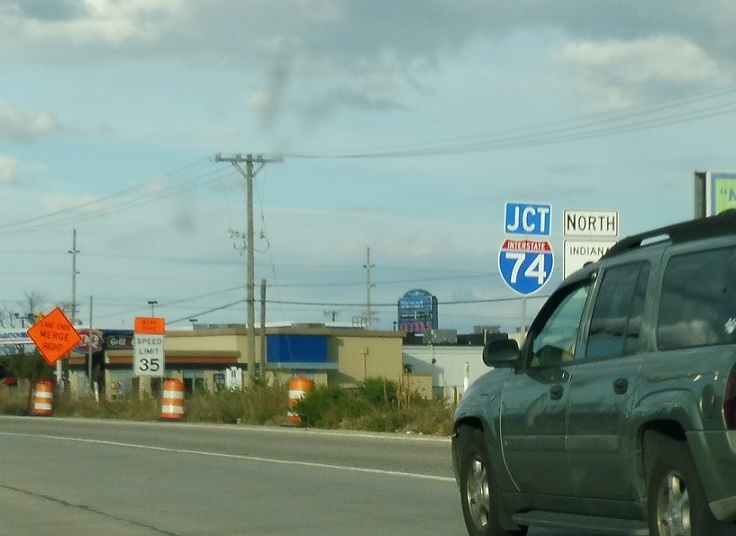 Reassurance shield after the 421 junction. 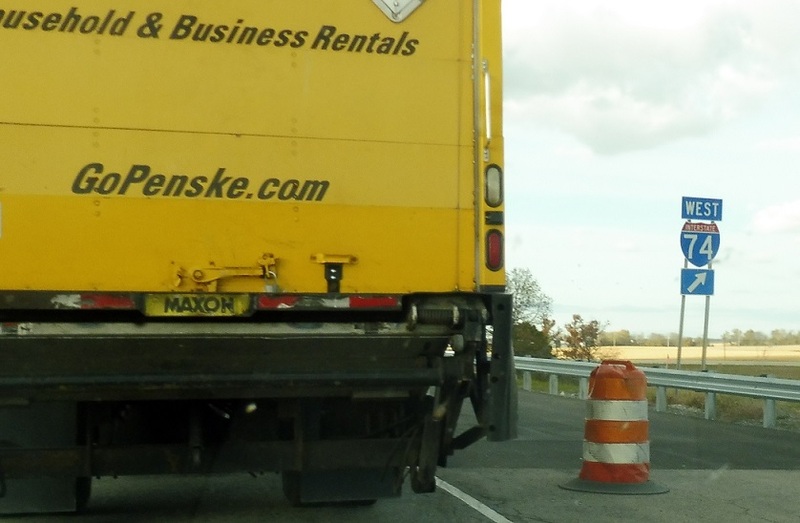 About a mile later, we’re reassured as we approach I-74. 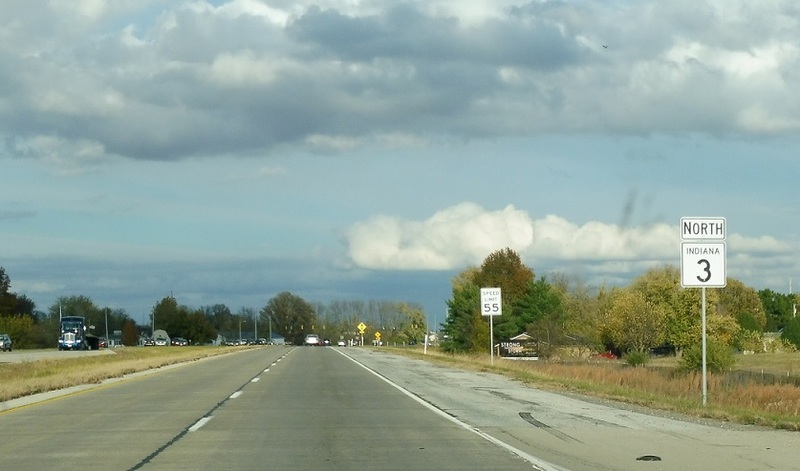 Stay straight to stay on SR 3 as we approach I-74. 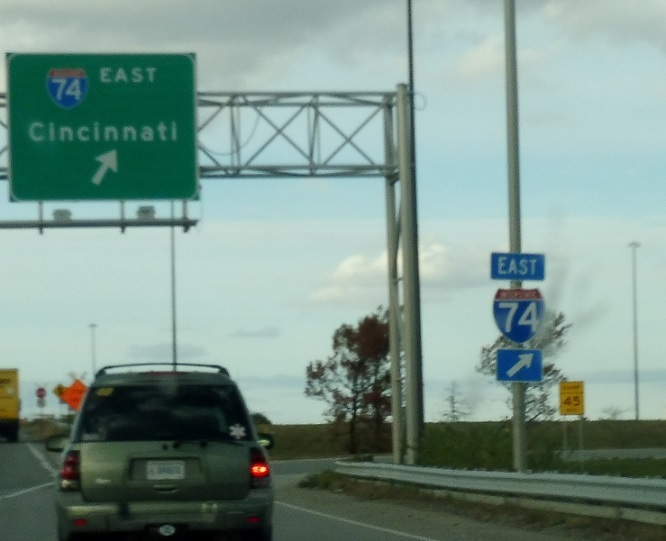 Exit right for I-74 east to Cincinnati, Ohio. 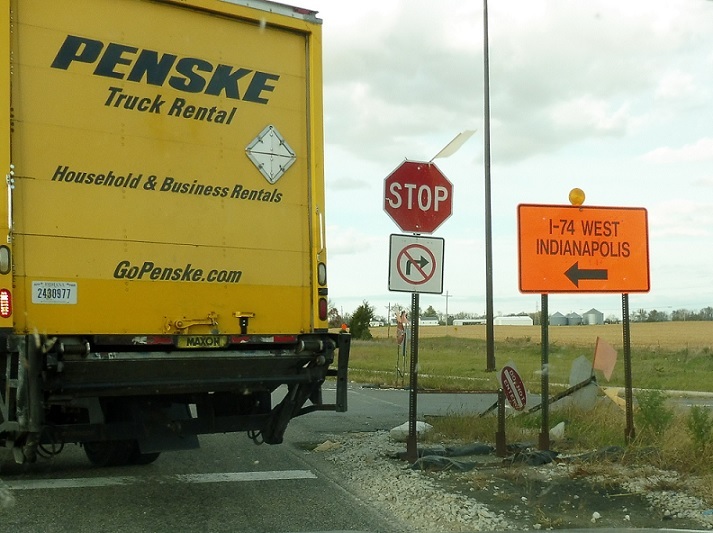 Keep left for I-74 west to Indy. 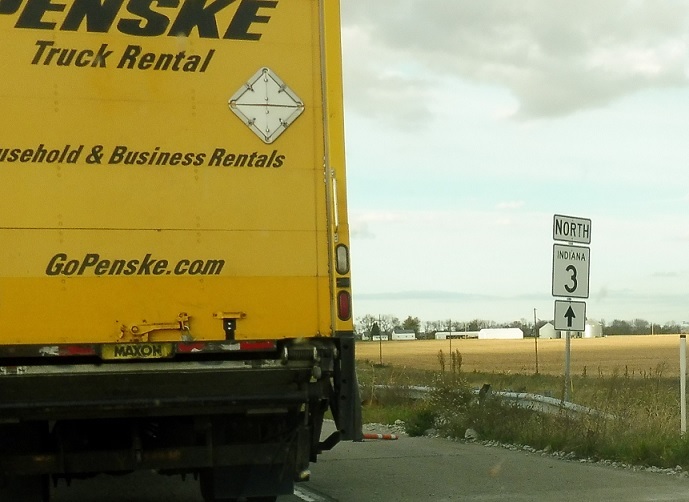 Stay straight to stay on SR 3 north. 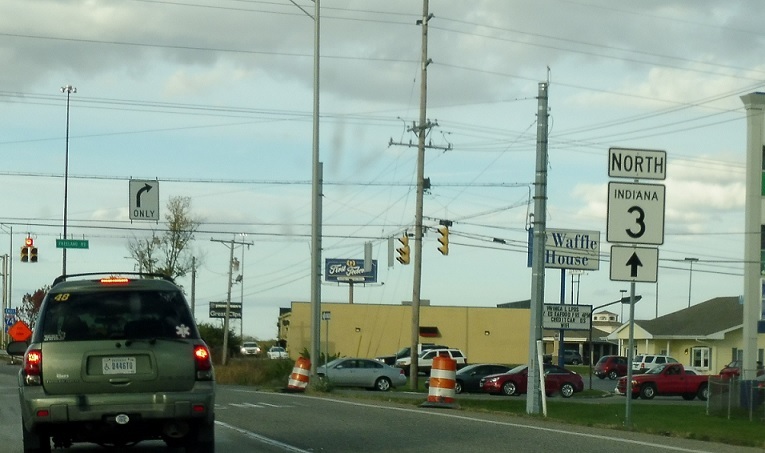 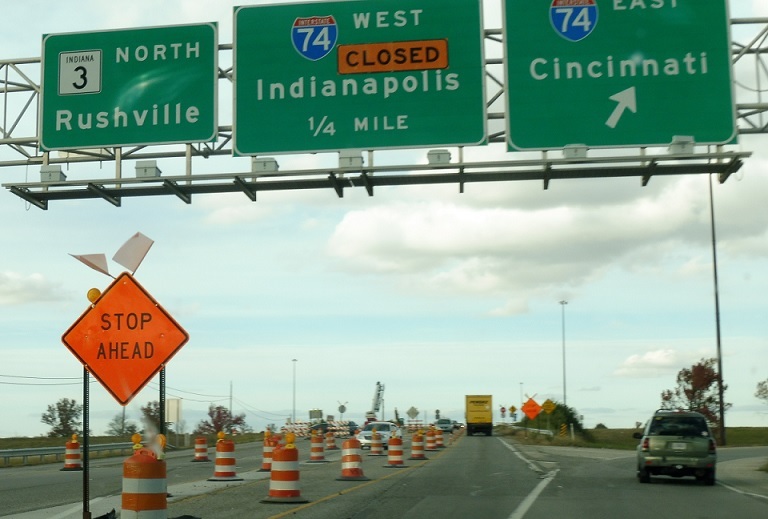 Turn left for the detour to I-74 west, along the ramp that is normally served only by SR 3 south traffic.